Green World Windows Platinum Series Vinyl Windows will make a perfect cost-effective solution for either new homes or vinyl window replacement. Replacement vinyl windows are one of the easiest ways to dramatically impact a homes appearance and value.The Platinum Series Vinyl Windows from Green World Windows offer exactly what you are looking for in a window architecturally styled, engineered for function, decoration, all backed with Green World Windows Limited Lifetime Warranty and service. Every window comes with an extruded aluminum screen frame with a lift handle rail for easy removal .Vinyl Track Rail System and Tandem Rollers are good for smooth sliding operation and lifetime durability. No matter the size of your job, the Green World Windows Platinum Series Vinyl Windows are your absolutely smart choice. The innovative product line offers a broad range of great choices and styles. All Green World Windows are tested byAAMA and NFRC and Energy Star Approved and Rated. With the narrower-profile vinyl frames, they provide maximum glass area as well as a fashion style of slim and sleek lines.The Green World Vinyl Single Hung has all of the features most requested by home builders.A sister product to the Single Hung window is the Vinyl Horizontal Slider. As the aesthetics that reflects the Single Hung, the Slider's smooth operation is obtained with few moving parts. It's low maintenance, easy to clean surfaces that are supported by durable all welded construction frame in a design that protects a home's interior from all types of weather. To complete the family of high quality vinyl window products, Green World Windows offers Fix Lite Shapes. They can be used alone. 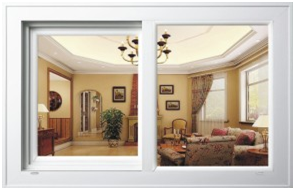 Integral mulled windows with a Single Hung or Slider, or designed into a combination unit. View the location of the company and its subsidiaries, as well as the areas of service. Copyright©2005-2018 greenworldwindows.com Inc. All Rights Reserved. Tel:(909)947-3868 Fax:(909)947-9825 Address:3810 Wabash Drive, Mira Loma, CA 91752.